An annual pilgrimage for those among us who relish in new gear and the latest in our industry, PhotoPlus Expo 2017 is right around the corner. 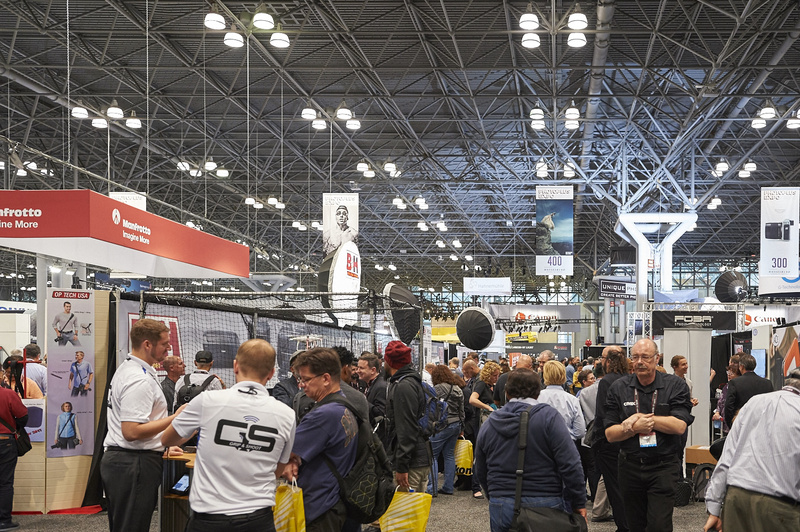 Taking place a few weeks after New York Comic Con, from October 25 to October 28, the Javits Center transforms into a digital wonderland loaded with the latest cameras, lenses, software, lighting, training, and seminars. It's been almost a decade since I attended PhotoPlus for the first time, and it’s a highlight I’ve only missed it a couple of times since. Here are my personal take on why you should get yourself there and how to get the most out of this great photo and video event. If you are unfamiliar with PhotoPlus Expo, the event is major and essentially comprised of two main components: the expo and conference. Both offer their own forms of inspiration, learning, networking, and high doses of fun. Here's what make each great. Beginning a day later on Thursday at 10 a.m., the Expo opens up the show floor to an overwhelming degree of tech and information. The space is packed with vendors and gear galore. 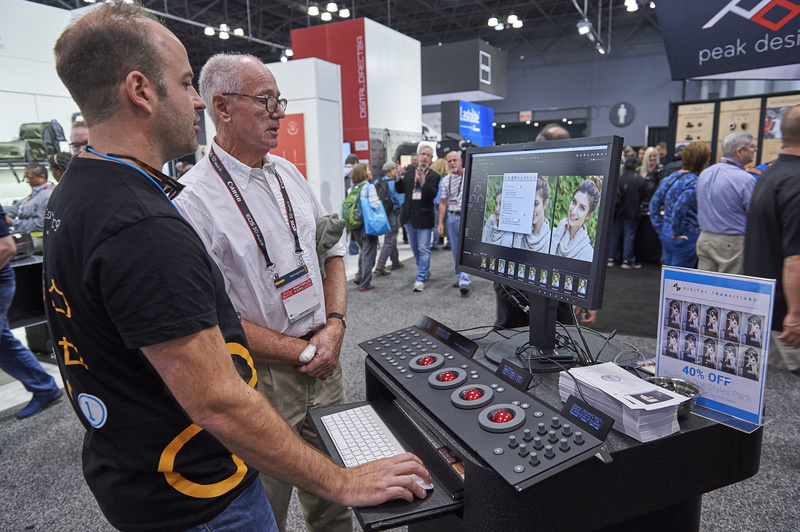 This is your chance to check out all of the latest gear, get hands-on interactions with new cameras and software, and ask questions directly to experts who know their equipment better than anyone. All of the major brands are usually in attendance. The show floor map will help you find where everyone is set up. The Expo is open until 5 p.m. on Thursday and Friday, 4 p.m. on Saturday. All of the big camera and lighting manufacturers have speakers giving live demos. 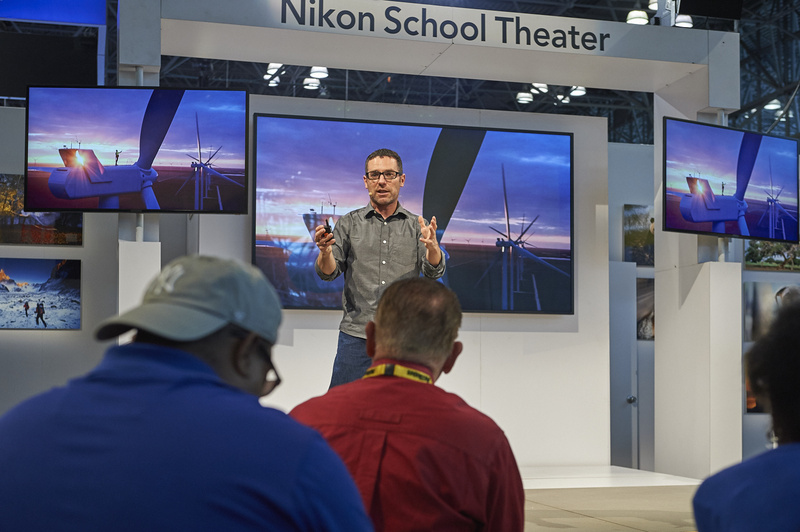 I’m a Nikon photographer so I spend most of my time on the floor at their Nikon School Theater where pros like Amy Vitale, Joe McNally, and Corey Rich are among many of the talented ambassadors presenting. James Smeltzer is usually at the Westcott stand and you can learn a lot of basics from him in no time at all. That said, if you are simply looking for inspiration, any of the presenters no matter what brand will have plenty to offer to you and there are recognizable images with their creators abound. I switched from Apple's Aperture to Capture One Pro a few years ago and relied on their online webinars to make the transition happen. It was super awesome seeing Phase One's absolutely brilliant David Grover fielding questions at a demo using Tangent Wave's jaw dropping editing controllers that I still covet right there at the Expo. Since meeting Grover, miraculously, I've since gotten to host a webinar with him on maximizing catalog organization in Capture One Pro. Maybe this year Grover you'll have time for a brew (or three)? If you are fortunate enough to be a card-carrying member (literally, bring your card or you won't get in the room) of Nikon Professional Services (NPS) and Canon Professional Services (CPS), you'll have access to pro-level support on site. NPS and CPS each set up lounges that are better described as super-secret clubhouses off the showroom floor where members can get personalized face time with reps, skip the lines to check out the latest gear, and often drop off a camera for a free clean and check. If you are a member and can't figure out where to go, ask at the main Canon or Nikon booths and hopefully someone there can point you in the right direction. The lounges often have water bottles and snacks which in itself can save you a few bucks for a welcomed refresher. 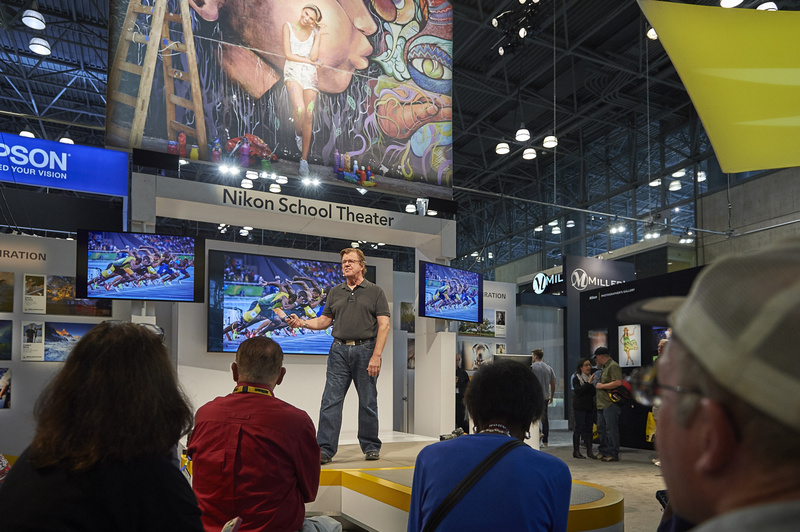 Becoming a member isn’t easy, especially with Nikon, but if you’re a full-time pro it’s extremely helpful having access at events like PhotoPlus Expo. After investing tens of thousands of dollars with these manufacturers, it's a nice, more personal touch. Beginning on Wednesday, the Conference offers a host of paid seminars on individual, daily, or full conference levels. There are a range of options within those, from two hour long seminars to panel lectures, to photo walks and intensive courses that take up the better part of a day. There is a lot of value to be had in the conference, and it's one of my favorite parts of the Expo. It takes away time from the show floor but it's a great opportunity to learn from true masters in the craft first hand. Seminars start as early as 8 a.m. and run as late as 6:30 p.m. I've gotten to hear presentations led by remarkable folks such as Mary Ellen Mark, Doug Kirkland, Joe McNally, James Nachtwey, Vincent Laforet, Zack Arias, Doug Menuez, Jay Maisel, Sports Illustrated Photographers Peter Read Miller, Simon Bruty, Bill Frakes, and the list goes on. Patrick Witty of Nat Geo (formerly Wired, Time, and New York Times), Shane Hurlbut, VII photographers Marcus Bleasdale, Ron Haviv, and Ed Kashi, the quality of speakers and information presented is absolutely insane. Some seminars provide live instructions, others discuss a new concept or project at great length. An extension of Seminars, Keynotes are free if you sign up for a seminar or a block of seminars. They are hour-long sessions starting daily at 12:30 PM, running until 1:30 PM, on Thursday, Friday, and Saturday, and can definitely draw quite a crowd. One year, Hurlbut went through a live Q&A/behind the scenes of creating the film "Act of Valor," which relied heavily on the Canon 5D Mark II. Talk about inspiration. There's a summary here on his blog, but the film is far more fun to watch. You can also get access to daily Keynotes with a Expo upgrade to VIP Expo Pass for $99. Have you always wanted to check out B&H Photo in person? It is an experience worthy of a stop over. Really, it's a rite of passage and as integral a part of the experience to PhotoPlus Expo and visiting New York City in general. Upon visiting the holy land, you'll finally get to see those glorious green bins race around conveyor belts out of the storeroom towards checkout, loaded with your magnificent selections. 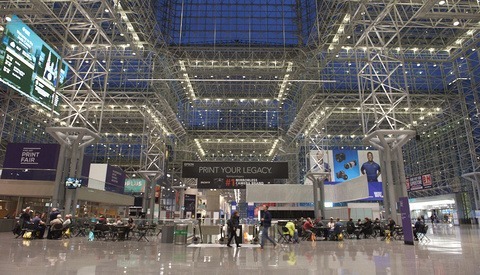 At the Expo, B&H typically runs a shuttle from right outside the Javits Center right to their door. Imagine that. You'll have to check your bag at the door at B&H but it's remarkably convenient for a better, hands-on experience in their store. It’s important to remember that B&H closes for Sabbath starting at 2 p.m. on Fridays, closed all day on Saturdays, and that includes their attendance at PhotoPlus Expo. Check their store hours and closings in advance to make sure you have the right expectations for your trip itinerary. Be on the look out for specials on the show floor. Many vendors offer show specials that can be shipped to your door so you don't have to carry them home with you. Others have exclusive offerings at the show you can only get on the floor. Bring a backpack. There will be a lot of catalogs and swag to pick up. 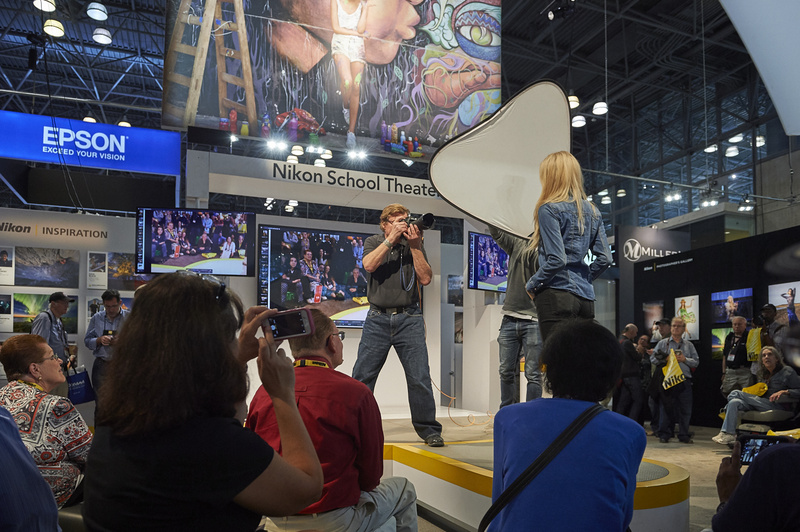 There are Nikon bags available on the show floor but the plastic handles will dig into your hands after a long day. One year I had a shoot in the city after the Expo and mailed home a poster signed by McNally to save from hauling it around. The packaging was crushed in transit and a cardboard tube would have also been helpful to have. Water bottle and snacks. I don't believe food is permitted on the show floor but there are plenty of areas to grab a bite outside of the expo inside the Javits Center. Depending on how you get there, you might spend considerable time on a train and will be glad you are prepared. There is food available at the Expo but the options are somewhat limited. Comfortable shoes. It's New York City. You're going to be on your feet quite a bit. Phone charger. If you have a charging case or a portable battery for charging, bring it. You'll certainly need to top up your battery at some point throughout the day. Charging stations have started cropping up the last few years but that means you'll be stuck waiting for a device to charge instead of on the show floor, and you'll need a cable at a minimum. If you take a train, Amtrak typically has AC outlets you can plug a charger into. Notebook and pen. In the event your mobile device(s) are drained, it's nice to have an analog way of taking down notes and information. The weather at the end of October in New York can really vary, from wind to rain to snow, so dress appropriately and keep a rain jacket in your backpack. One year I spent an entire day failing to get into the city when a snow storm downed trees and power lines all along the Amtrak route to New York Penn Station. I ended up getting off at another station then waiting a few hours for a bus to pick up people and return us to other stations along the line, again navigating around power lines and tree branches. Adding insult to injury, I missed out on a bunch of conference seminars I paid for including the Amtrak ticket. Check your local camera club for bus trips. If you are regional, your camera club might offer affordable shuttle bus trips to the Expo. It's a convenient way to get to an awesome event while connecting with friends old and new. So are you ready for PhotoPlus Expo 2017?! I don't know what more could convince you but if I left out a favorite part, let me know in the comments below. Attending every year is personally a must. The Apple trainer in me hopes that maybe, just maybe, after another 30 years working as a pro I might get to participate in providing instruction at the Expo + Conference to help the next generation of young creatives. 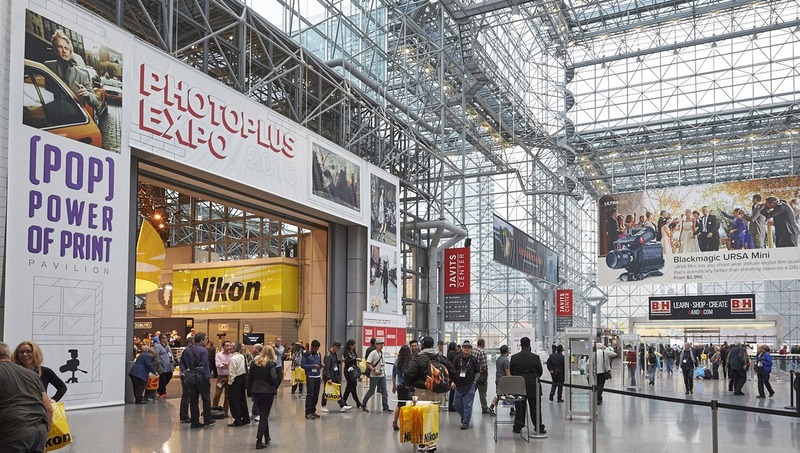 If you have attended PhotoPlus Expo in the past, what takeaways do you have that you were inspired by? If you are not already signed up, you can register for the Expo here. I hope you have a great time at PhotoPlus Expo 2017 and perhaps I'll see you there. If you're a Sony shooter, bring your gear. They set up a lab and will clean your sensor and your lenses for free. They also raffled off a cool camera the last few years. Awesome, thanks for the great info! Photo Plus Expo was an awesome place to get great deals - until they kicked out all the Chineses vendors, apparently at the behest of the major vendors. You were to pick up any number of things for peanuts. Strobes, multicoated filters, radios, tripods, booms, monitors, you name it. I picked up an 800 watt monolight with a remote control for $270! Not any more. Stil interesting to check out cameras and lenses, and if the seminars interest you it's cool, but the days of getting insane deals at Photo Plus Expo are over. There is a whole bay of exhibitors from Shanghai this year. I attend every year and each year there are more and more Chinese vendors so not sure who got kicked out. No way. Maybe little rinky dink stands, but years back there were massive ones selling great stuff for cheap. Not any more. Probably because so many of them make knock offs of real brands' products. Meh. The expo is a fraction of what it was even just a few years ago. The expo floor has gotten smaller and smaller but attendance seems to remain steady which makes for very very packed aisles. If you think you can just saunter up and check out the new D850 for a while think again. 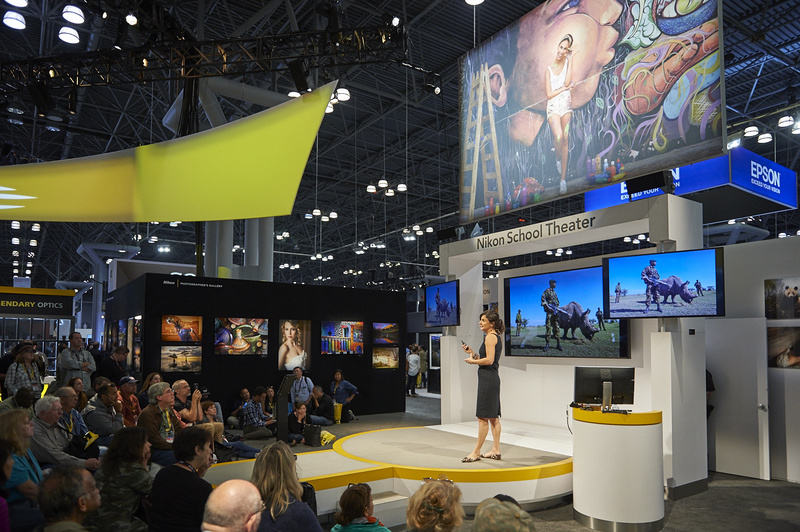 The education sessions are the same people over and over again and all but ignore outdoor/nature photographers. And while you can still get a free expo only pass - everything else is outrageously overpriced. This show is owned by a large trade show company who's first and only goal is profit - make no mistake. But that said, there are good deals to be had and if you have never been, you should go at least once before its too late.